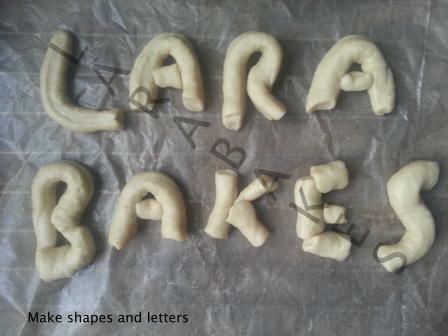 Larabakes was borne out of the love of good food and an appetite for developing and improving on recipes. Our Soft Pretzel Mix has taken years to develop and perfect. We use only natural ingredients and all our mixes are free from preservatives or artificial colours. We do not include anything we cannot pronounce in our mix. Our mixes are packaged in a council inspected and approved kitchen and staff have Food Hygiene training. We will never offer you anything we can’t eat ourselves. Our Soft Pretzel Baking kit means you can have fun baking and enjoying what we believe to be the world’s best tasting pretzels (cheeky we know, but it's true) in the comfort of your own home. Make your own delicious, chewy, fresh and hot pretzels from your own oven whilst bringing the sweet buttery aroma of Mall Pretzels into your home. They can be enjoyed sweet or savoury. Our Soft Pretzel Baking kits include cinnamon sugar to make sweet pretzels and salt to make savoury pretzels. You can also make pretzel dogs, cheesy pretzels, cinnamon buns and lots more. Each pack comes with easy step-by-step pictorial instructions (click here for instructions). Making soft pretzels is great fun for both kids and adults; why not have a pretzel baking party, make some for your school fete or for a fundraising. If you like our products, please like us on facebook and tell others. If not, please tell us.